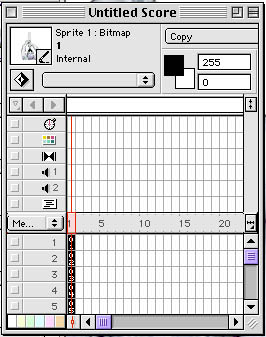 Multimedia- adding a sound file to a simple animation. 1. First you need to create a new folder on your hard drive and title it resources or somesuch. 2. 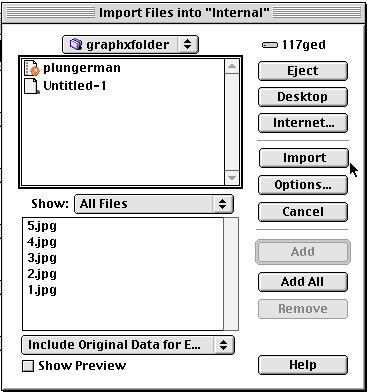 Then go the the directory for tut4 and open up the folder "graphxfolder " and save as source all five images (.jpg). On Windows you can right mouse click on the filename if you want to save them. Mouseclick on them on the Mac side. and save them to the empty folder you created. 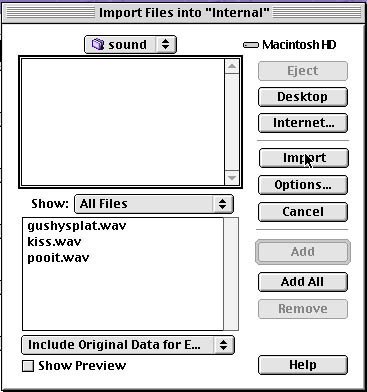 Do the same thing with the sound files (.wav) inside the "sound "directory. 4. Import the images you saved. You can save a step later by going ahead and importing the sound files too if you want. 5. As you import the graphics use this setting. 6. Go to file--> preferences--> sprite and set the span duration to one frame. 7. Select the images all at one time (shift select) in the cast and drag to the stage. 8. they will appear in the score all in one frame- if they are not selected, select them at this time. 9. 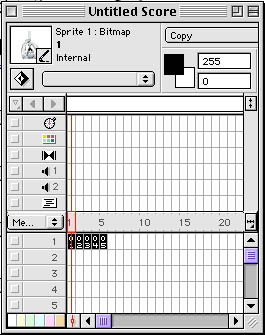 Go to modify-->spce to time and set the separation to 1 frame. 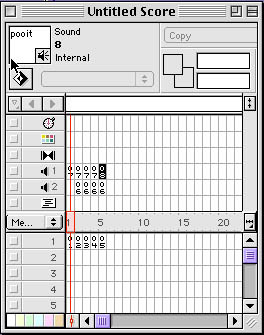 10.The sprites align themselves in five frames but all in one channel. 11. Now it's time to import the sounds if you haven't already done so. 13. 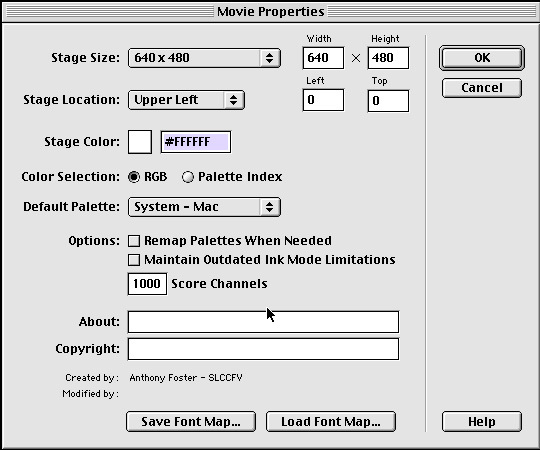 Save the movie to your ZIP disk.